Every year the bathroom becomes more of an area to escape and relax with time alone. 2017 has become no exception to the current trend of getting away with new concepts and designs of bathroom remodeling and upgrades to furniture, tub fixtures and vanities. 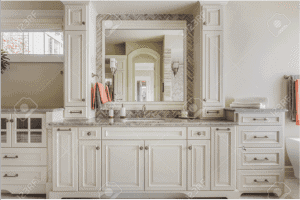 Bathroom Remodeling is a specialty of JFA Construction LLC . We will not only give you the best use of space and design but also will give you a personal retreat to unwind from the day. From new flooring to custom shower enclosures, call Midland, TX’s favorite bathroom remodeler, JFA Construction LLC , today to start your bathroom remodel project. Whether you just want to update one aspect of your bathroom, like a new tub or vanity, or gut the whole thing and change the layout, we will walk you through the process and wow you with the results.